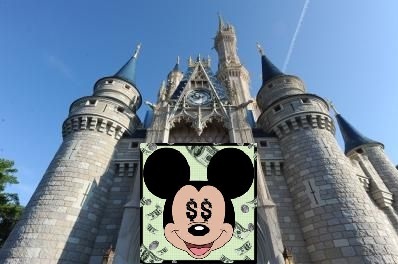 Jedi Mouseketeer: The Best is Yet to Come for Disney! The Best is Yet to Come for Disney! 4. Continued solid cash flow growth fueled by lower capex spend and used to repurchase shares which management considers to be trading "below intrinsic value". When DIS reported earnings in early November, the market got spooked by management's expected increase in sports content costs that will flow through the P&L in Q1 of next fiscal year. This helped send the shares down from $50 to $47, as the market overreacted to a short-term hiccup which is the nature of the cable industry. The impact for costly sports content deals (such as with the NFL, the NBA, or the Big 12) are scary billion-dollar numbers at first, but DIS will benefit as the quarters progress with a growing subscriber base (driven by content) and higher ad rates earned by its networks. This is simply the nature of the industry. It's also important to note that DIS turned down a deal with the English Premier League as the returns just did not make sense for the company. This bodes well that management isn't chasing un-economical deals just for the sake of having global sports content. The NHL lockout, also, will only be a positive for DIS as viewers will be drawn to other sports (such as baseball and basketball) that DIS channels carry. The company has been seeing very good traction on the domestic side in this segment, with continuing growth in guess spend and room rates coming out of the recession. The company has been spending a lot of capex over the past 2 fiscal years on its Magic Kingdom expansion in Florida, and also on its Hong Kong Disneyland expansion. Management feels like there is much more to tap into on the Asia front to get growth trends up to current domestic low double-digit growth rates. European operations have been stable, but the outlook is very unpredictable. On the domestic front, the company's Florida expansion is the largest expansion of the Magic Kingdom in 40 years as it is transforming the looks of its Fantasy Land experience (which is the most popular part of the park according to management). In fiscal 2013 and 2014, capex spend should come down from the high of 22% of sales as it was in this past FY2012. ROIs that management gauges for projects on the Parks & Resorts side ranges from 10-15%. The biggest value drive is the Media Networks segment, ranging from ~$90-100 billion in value with a 14-16x multiple. This multiple may seem large, but the most recent sizable deal in this space was News Corp recently acquiring a 49% stake in YES Networks for $3.4 billion. Bernstein research states this implies a 15x EBITDA acquisition multiple for the sports network…This bodes quite well for a network like ESPN which accounts for a sizable chunk of this segment's EBITDA.